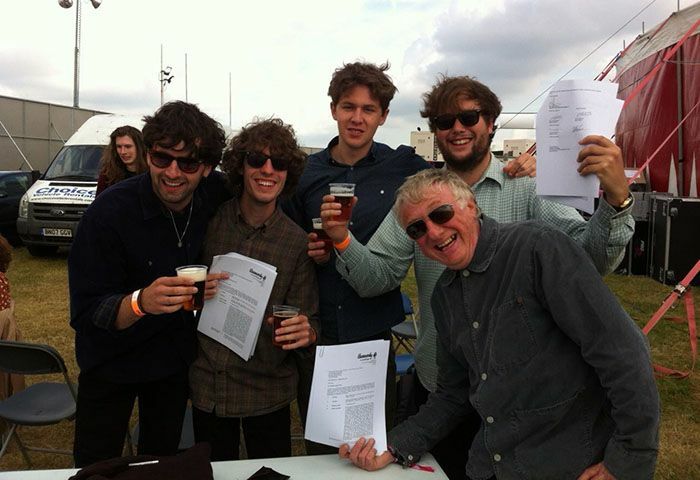 Liverpool’s hottest new band Hooton Tennis Club pen deal with iconic independent label. Smashing. 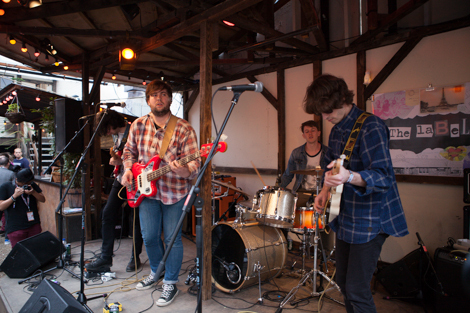 Hooton Tennis Club, the band who burst out of Edge Hill University’s DIY Label Recordings, are to sign a deal with Heavenly Recordings. The quartet, comprising Ryan Murphy, Callum McFadden, Harry Chalmers and James Madden, will ink the deal this weekend with Heavenly label boss Jeff Barrett. It’s the kinda fairytale success story which warms the heart, as HTC’s swaggering rock & roll melodies have been dancing around the Getintothis jukebox since we were introduced to them by Edge Hill’s Carl Hunter (of The Farm) when he ‘signed’ them to the University’s Label Recordings earlier this year. Subsequently, the band have hit the ground running with numerous high profile support slots while making such an impression that we included them in our top 10 bands of Liverpool Sound City 2014 back in May. Their pairing with Heavenly Recordings is, dare we say it, a match made in heaven – there couldn’t be a more appropriate label to hone the band’s potential following on from their Label Recordings formative days. 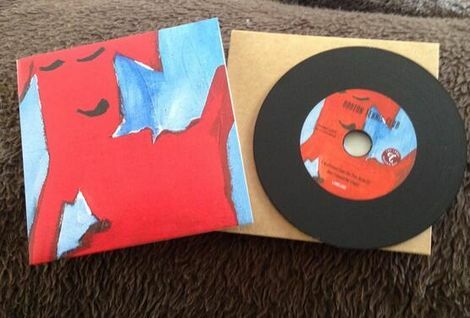 The mark of the Label Recordings is clear in Hooton Tennis Club’s sound; comprised of musicians and students harking from a medley of academic backgrounds, the label mixes raw creativity with some of Liverpool’s sharpest young minds – without the restrictive confines of contracts. With the artists free to remain in complete creative control, it’s no wonder that Hooton Tennis Club have come in to their own with such force. Heavenly Recordings are of course renowned for discovering some of the UK’s most innovative talent, boasting a roster of bands both past and present which would make any music-lover weak at the knees (Manic Street Preachers, Saint Etienne, Beth Orton, Temples, TOY – and of course, Stealing Sheep). Word is the band are set to work with Bill Ryder-Jones on recording new material and developing earlier sounds – whatever the case, the future looks ace for Hooton Tennis Club.